Tiffany Weigle has been a professional tattoo artist since 2001. She started her career as an apprentice at Wicked Ways in Michigan and then moved to Laughing Gremlin in Grand Rapids, MI where she tattooed for two years. After leaving Laughing Gremlin she tattooed at Explicit Ink in 2003 before packing up her machines and moving East to Hanover PA. In 2005 she journeyed to Hanover Pennsylvania where she set up her machine at Moonwalkerz Tattooz & Piercinz. She continued working her craft and building her clientele for four more years. In September of 2009 she moved to a new shop along with Brian Fuentes where she continued to expand her craft forthe next seven years. 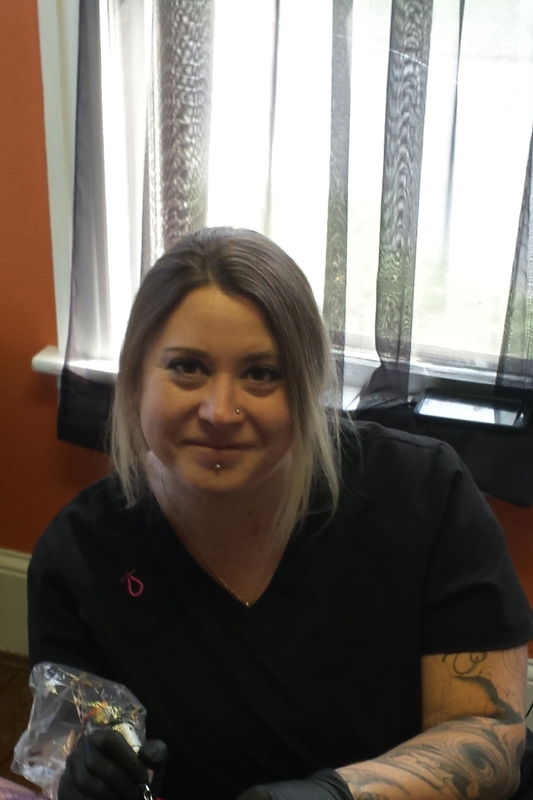 Her client base ever growing and having her name become well known in the area as one of Hanover’s premier tattoo artists. On October 1, 2016 Tiffany made her move to Gypsy Skull Tattoo where she joined her co-worker and long time friend Brian Fuentes. Now with her own private room and fresh working environment she is continuing to grow her client base and serve the Hanover PA area.